The Motorola Droid RAZR and HTC Rezound both have a random ‘Z’ within their name, but is that the only common factor between the two? The Droid RAZR and Rezound are both trying to vie for the same customer share on the same network. When these two flagship phones meet head to head on Verizon’s network, which smartphone stands tall? 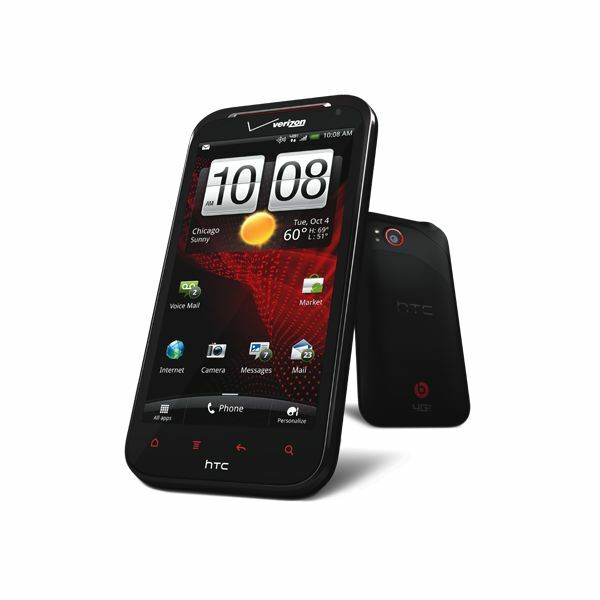 Is it the razor thin, revitalized Droid RAZR, or the HD displaying HTC Rezound? The Droid RAZR and the Rezound don’t share a lot in common when it comes to design or display. The Droid RAZR takes on the approach of the original RAZR, opting to go slim and thin, even going so far as to call itself the slimmest smartphone available. The Rezound on the other hand, doesn’t meet the thin specs of the Droid RAZR and is nearly double the thickness of the smartphone. The Rezound definitely stands out when compared to the RAZR with its larger size and its weight, as it’s thicker and heavier. From a design perspective, the Droid RAZR seems to edge out the Rezound. However, what it lacks in design, the Rezound makes up for with its display. The Rezound is the first smartphone in the U.S. to offer 720p HD. This may not seem like much, but this means the resolution is actually better than even the one found on the iPhone. Colors and contrasts come out well and watching videos on the Rezound is definitely a treat. While some may think that it’s not that noticeable a difference, once they see a high quality video on the smartphone, they will agree that the display is fantastic. When it comes to design and display, it’s actually pretty tough with the design on the Droid RAZR and the display of the Rezound, but in this situation, the Rezound comes out on top. The design of the Rezound is definitely decent and coupled with the 720p HD display, it overcomes the extra thickness. The Droid RAZR and the Rezound are both fast when it comes to hardware performance. The Rezound is actually slightly faster with a 1.5 GHz dual core processor, as opposed to the Droid RAZR which has a 1.2 GHz dual core processor. The slight difference doesn’t make that much of a difference when it comes to usage, as both respond quickly to touch. Processor intensive applications also do not slow down either smartphone, which is always a plus. Call quality wise, both smartphones had no echo or distortion for both incoming and outgoing calls. Data speed wise, they were both comparable as well, as both are 4G LTE enabled smartphones. When it comes to battery performance, the Droid RAZR surprisingly lasts a little longer than the Rezound. For a smartphone so slim, the Droid RAZR packs a bigger battery which allows it to last slightly longer than the smaller battery found in the Rezound. With its better battery life, the Droid RAZR wins this round. Both smartphones are preloaded with Android 2.3 and their respective manufacturer’s overlays. The Droid RAZR has the still unnamed, once called MotoBLUR overlay while HTC has Sense UI. HTC has spent a lot of time refining their overlay to be more user friendly and distinct from other smartphones, and it seems with each iteration, their efforts are paying off. Sense UI is surprisingly easy to use, non-intrusive and adds flair and style to Android. The unnamed overlay for the Droid RAZR had different roots, originally starting as the extremely intrusive MotoBLUR and eventually becoming the exact opposite, becoming a light overlay on top of Android. While the Droid RAZR’s overlay isn’t bad, it doesn’t offer the same user experience as Sense UI. However, the Droid RAZR does have a bit less bloatware and offers the SmartActions application, which is actually very useful. In essence, it’s a workflow tool, allowing you to set up precursors and actions for the smartphone, based on time, location or other applications. It’s extremely useful in really customizing the Droid RAZR to meet your needs. It seems that when it comes to user interface, the Droid RAZR and Rezound are evenly matched. When it comes to features, it’s still a tough battle between the Droid RAZR and Rezound. 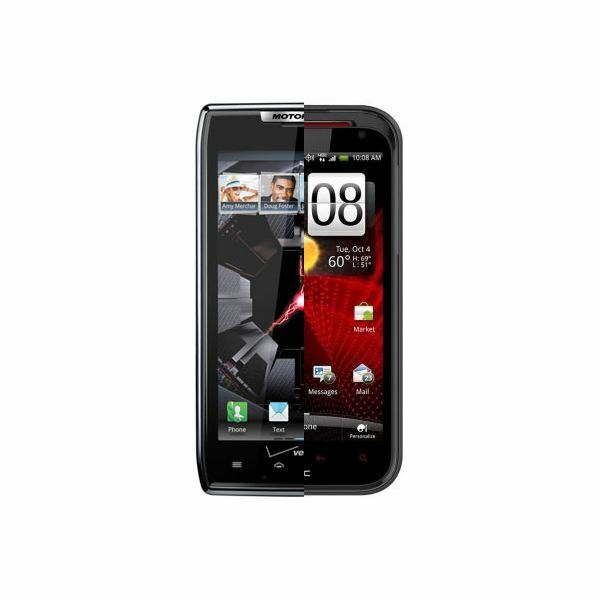 The Droid RAZR is packed with various features to help business users and regular users alike. It has a micro SIM card slot to allow for international roaming, government grade encryption along with Exchange ActiveSync, remote wipe, PIN lock, device encryption, and remote disabling of Wi-Fi and the camera. In addition, it can be hooked up to the Motorola accessories, such as the Lapdock and HD Station, further enhancing its capabilities. The Rezound, on the other hand, goes more for consumers with its integration with Monster Beats. With this integration, the Rezound has an application specifically for enhancing music and the phone itself comes with a pair of nice (~$100) earphones further enhancing the sound quality. It’s definitely a different direction than the Droid RAZR, but still a good direction to head towards. Both smartphones come with an 8 megapixel camera, and both take great pictures and video. It’s hard to determine which smartphone is better when it comes to camera capabilities. Both also offer a variety of options when taking pictures, and with the flash, both are capable of taking decent night shots. As a whole, the Droid RAZR just barely edges out the Rezound with its many features. While music is an important aspect for some, it just doesn’t quite meet the various different features found on the Droid RAZR. Coming in with some battle scars, the Droid RAZR cuts through the Rezound, 2 to 1 with 1 tie. 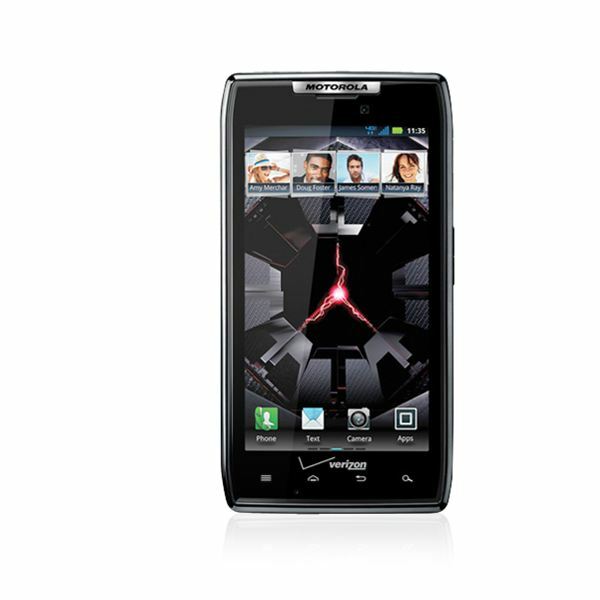 The Droid RAZR and Rezound are both fantastic additions to Verizon's line up, and for many consumers, this will be a hard decision. The Droid RAZR has some great design, powerful specs and a buttload of features while the Rezound has a beautiful display, even faster performance (but smaller battery), and a great enhancement for audiophiles. In the end, the Droid RAZR has just the few qualities to let it beat out the Rezound, but if you're in the market more for the visual and audio aspects, the Rezound will probably be the better choice.